Born in rural Indiana shortly after his family moved “west” from southern Virginia to start a livestock feed store, Simon Flory’s music is suffused with the elements of his childhood – days spent in the fields, church sings, gravel roads, and genuine mule drawn molasses. It takes a perceptive ear to translate these icons of a mythical “Americana” into the daily textures of real human lives, and Flory does it with the sincerity of early country music. His compositions are as much short-story sketches as they are songs, each populated – like the locales that inspire them – with those among us who have few choices. Flory’s sound evokes voices not much heard on radio airwaves, a stew of early country, gospel, and the best of classic Nashville. Even his guitar playing captures the rhythmic tumble of clawhammer banjo and Appalachian fiddle (on both of which he’s adept), and his vocal phrasing carries inflections from the Carter Family to Eddie Cochran to Hank Williams. After earning a degree in writing and theatre, Flory moved to Chicago and founded the country band Merle The Mule while working as a multi-instrumentalist in an old time duo with teacher Ed Tverdek and as an employee at the Old Town School of Folk Music. In 2008 he moved to the Ozarks of Arkansas where he worked closely with local musicians and met his mentor and friend Donny Catron of the legendary bluegrass band The Tennessee Gentlemen. 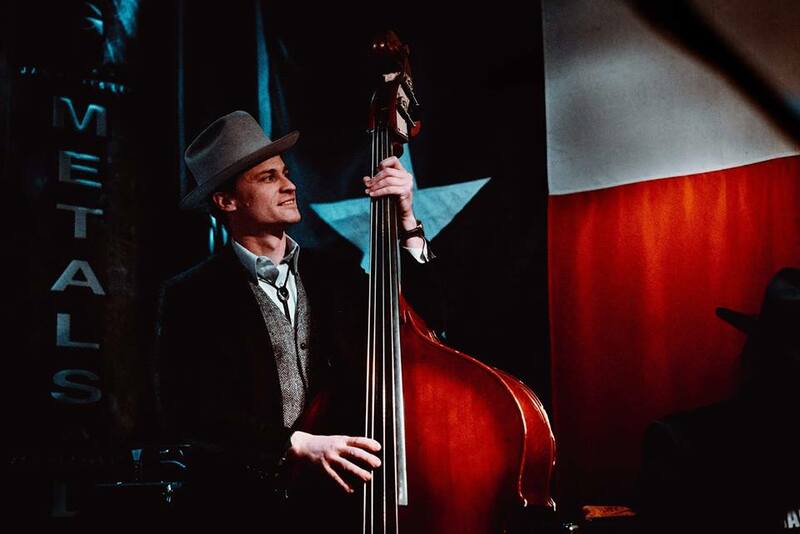 His first solo record, self-released Unholy Town, led him to Austin, TX where he continued to work as a solo performer and multi-instrumentalist before co-founding the Austin based country-bluegrass supergroup, “High Plains Jamboree” with Beth Chrisman, Brennen Leigh and Noel McKay. In 2016 they were official showcase artists at Folk Alliance International, IBMA, and Americanafest where Rolling Stone called them, “One of the best things we saw”. Flory now resides in Fort Worth, TX where he splits time between songwriting sessions locally and in Nashville, playing bass and banjo in bands and studio sessions, teaching and most recently working on a film to accompany his upcoming solo EP set to be released in 2019. Also: gardening, trail running, Larry Brown, the Davis Mountains, the incomparable love and support of his partner Anita, family recipes, tackling the Ghazal, native plants of TX, Earl Hines, mules, a nice hat, a decent pair of boots and a ten year old shirt to name a few other things.